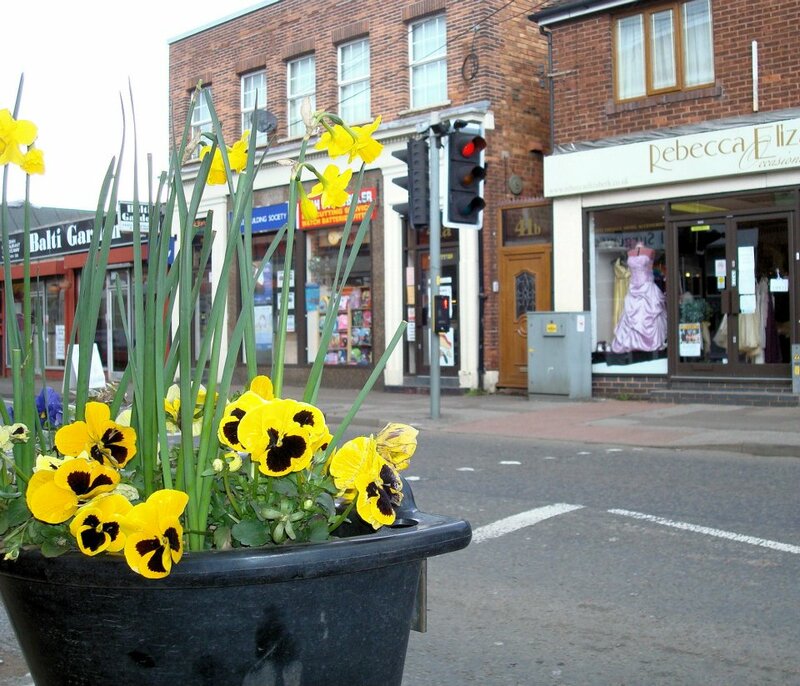 Brownhills has had excellent flowers for a few years now – mostly maintained by volunteers. Image from Brownhills Town Centre Partnership. I note from the Facebook Page of Brownhills Town Centre Partnership that Brownhills this year won a Silver Award in the Britain in Bloom competition. It’s not the kind of thing you’d normally associate with Brownhills, but year after year, the floral displays here have been improving, and this year they looked wonderful. 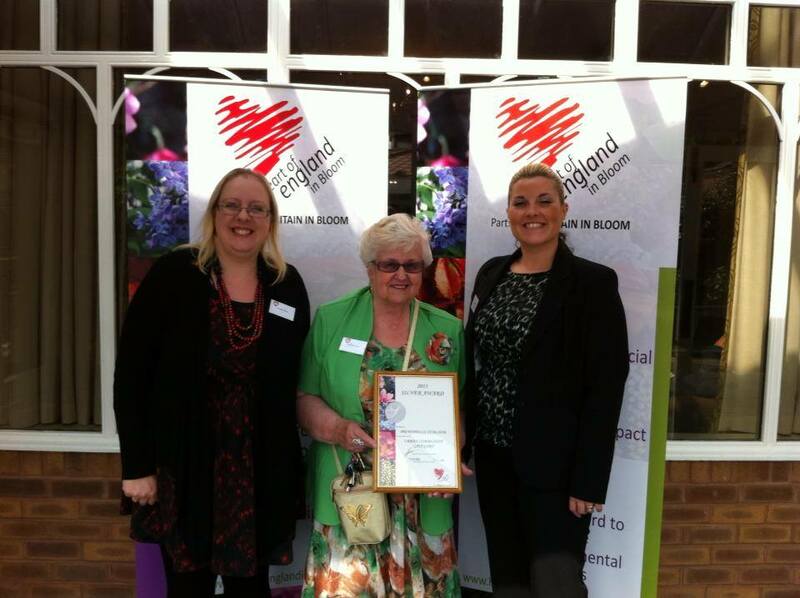 Well we did it FB Friends we achieved Silver for Brownhills in Bloom 2013. Next year were gonna get Silver Gilt that’s a promise! A massive thanks to all involved this year and a plea for more help and support for 2014 entry. We already have some fab ideas to get stuck into. Well done Brownhills you’ve done us proud. A special thanks to Vickie Heydon-Matterface and Vivienne Aston – without you two this would not of been possible. It’s easy to be disparaging about Brownhills town centre but this is a great result for the town, the traders and volunteers who worked hard to put on such a lovely display. I’d like to congratulate them, and I’m sure readers will join with me in doing so. I may not always see eye to eye with BTCP, but credit must go where it’s due. Thanks. Browhills in Bloom organisers and volunteers Vickie Heydon-Matterface and Vivienne Aston, together with Nikki Rolls from Walsall Council, show off their award from Heart of England in Bloom. Image from Brownhills Town Centre Partnership. Huge congratulations too to Britain in Bloom winners Watling St Primary of Brownhills who won a schools involvement award. I suppose I should also congratulate neighbours Aldridge and Bloxwich who achieved Gold awards…. they were stunning, it has to be said, mainly due again to the efforts of people like friend of the blog Pòl MacDhòmhnaill, who freely volunteer their time – in his case, to Aldridge – to make their towns special. This entry was posted in Brownhills stuff, Churches, Environment, Events, Fun stuff to see and do, Interesting photos, Local media, Local politics, News, Shared media, Social Media, Spotted whilst browsing the web, Walsall community, Walsall Council and tagged Aldridge, Britain in Bloom, Brownhills, Brownhills Town Centre Partnership, Darlaston, Events, Facebook, Lichfield, local blogs, Local politics, Things to do, Vickie Heydon-Matterface, Vivienne Aston, Walsall, Walsall Council. Bookmark the permalink. Well done to everyone in Brownhills and Aldridge especially, it takes time and effort to volunteer for anything and usually costs the volunteers money as well, it’s harder to keep volunteering when what you do is not fully appreciated either! Well done to all involved, what you do is noticed and appreciated by many.